Please visit the model home at 6102 Akron Street, Denver. 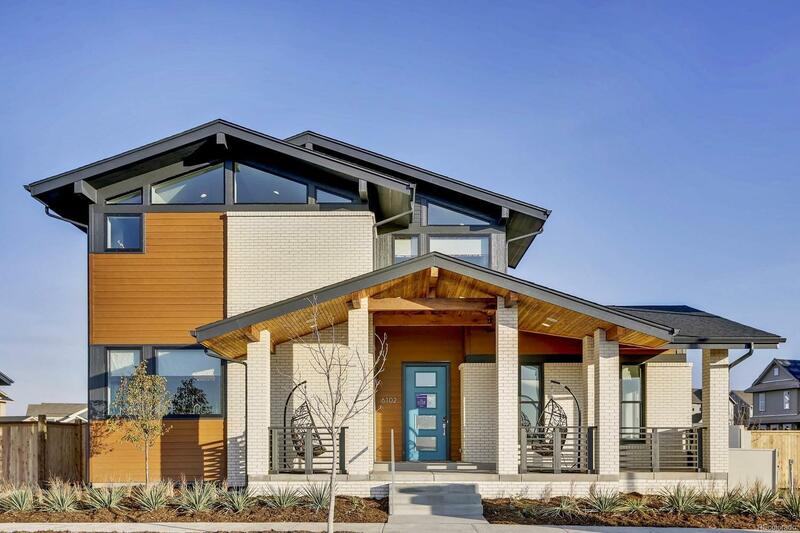 This stunning to be built mid-century modern home promoting HEALTHY living w/optimal indoor air quality, features the most EFFICIENT technology, allowing your home to produce as much energy as it consumes built by an award winning, LOCAL company using new technology & sustainable products. Zero Energy Construction, Energy Recovery Ventilators & Solar are just a few amenities included. Open floorplan w/modern technology & mid-century modern architecture. Great room w/ample space for entertaining. Abundant large windows, quartz countertops, SS appliances, 5â engineered wood & sleek alabaster cabinetry. Placed on a generous homesite located within the highly-desired Beeler Park neighborhood including expansive, uninterrupted mountain & prairie views. With a style characterized by clean simplicity, thoughtful design & healthy living, thereâs no doubt that this home will allow you to Thrive.